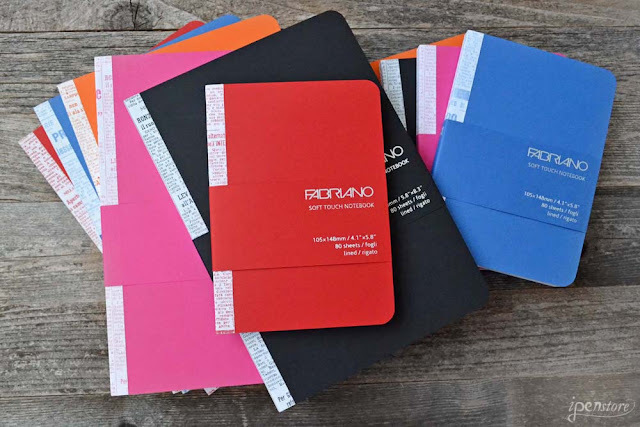 Introducing another great notebook from Fabriano! 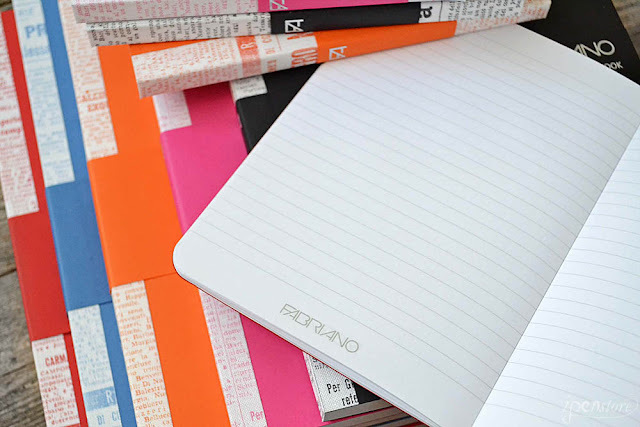 Fabriano just came out with their new "Soft Touch" notebook. The cover is made from "Inspira" paper -a 360 gsm soft, matte touch paper which gives it a unique petal soft feel. 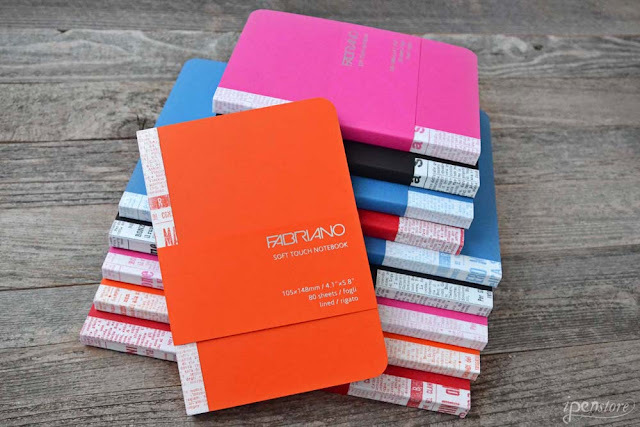 Fabriano is an Italian paper company and they have been making since the mid 13th century- so they know paper! Read about their history here. The new Soft Touch Notebook comes in two sizes A5 (5.8 x 8.3 inches) and A6 (4.1 x 5.8 inches). These notebooks are perfect bound- bound with an adhesive which, when dry keeps them securely bound. There are five colors to choose from- red, blue, orange, pink, and black. 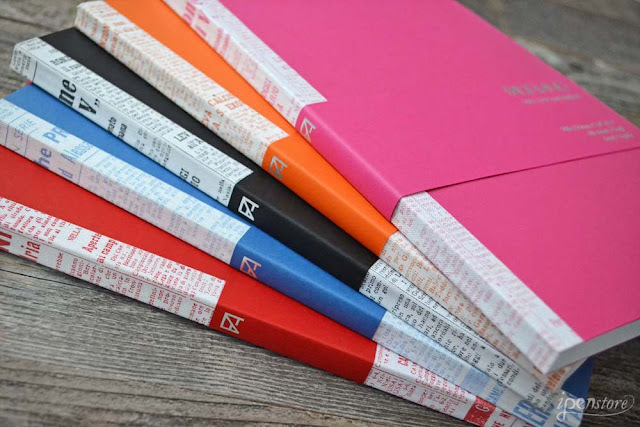 The notebooks are very unique looking. It has a cloth binding with a text graphic. The printed pattern on the cloth reproduces a detail of the font page of an Italian newspaper, making each notebook different from the next. Each page is lined with a very light olive/gray line. The Fabriano logo is featured at the bottom of each page.The 80 sheets of 90 gsm paper has been produced with 100% ECF cellulose pulp, which is FSC certified (meaning the paper has been source in an environmentally-friendly, socially responsible and economically viable manner). The paper is acid free and archival quality. This notebook is perfect for many different writing instruments- and wonderful for fountain pen writing! Thick enough where you won't see any ink bleed- through to the back of your pages. Smooth paper- yet much toothier than Rhodia or Clairefontaine paper- your ink will dry quickly on this paper. Great paper in a great new notebook!